After years of preparation, Frank Romano spent 10 weeks at Cal Poly finalizing the manuscript and included 13 Cal Poly students as co-authors. 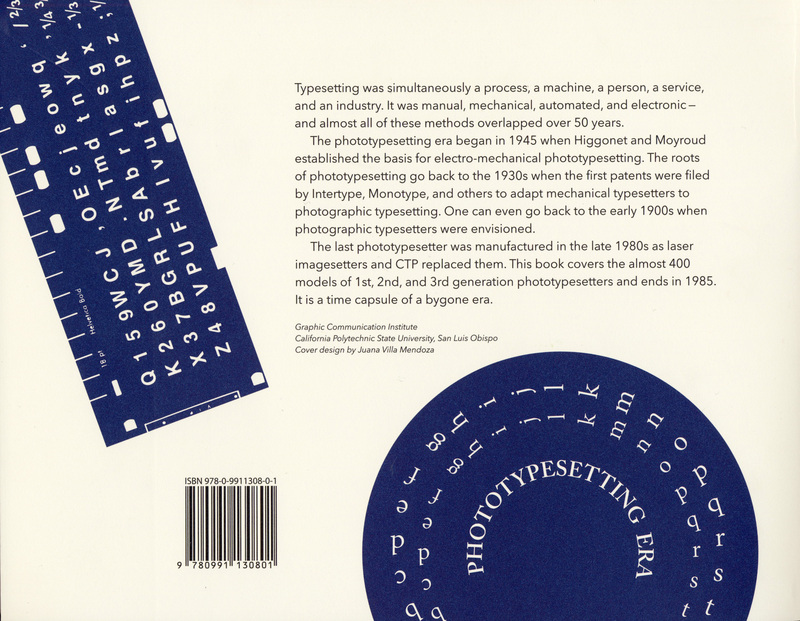 All production took place in Cal Poly's laboratories by University Graphic System (UGS), the Cal Poly Graphic Communication Department's experiential student-run faculty-supervised printing, publishing, and imaging company. 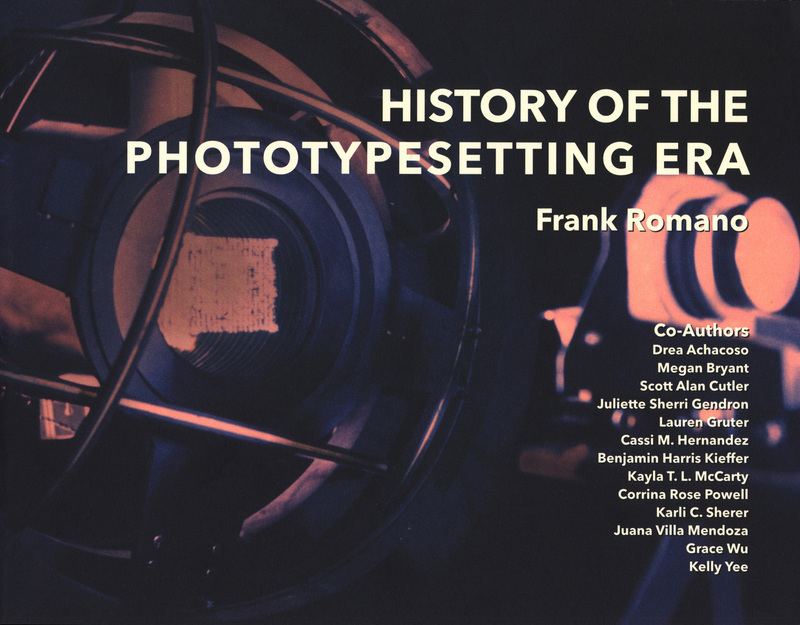 Romano calls this book "...a time capsule for a time of technological upheaval in the printing industry." Romano notes, "the narrative ends in 1985 as desktop publishing and laser imagesetting were being introduced." Published by The Graphic Communication Institute at Cal Poly and distributed by RIT Press. Size: 11 x 8.5 in.